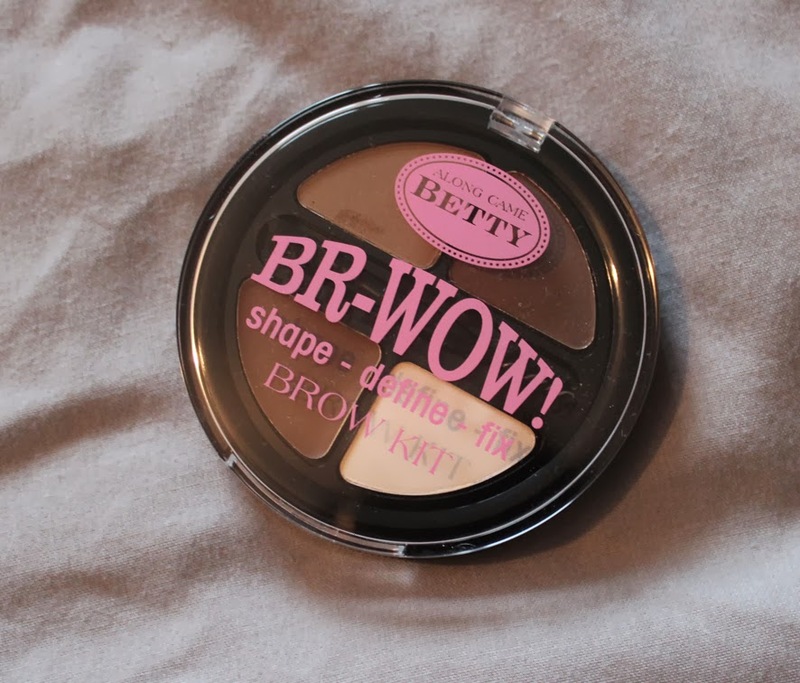 annxkathrin: Along Came Betty Eyebrow Kit "Br-wow"
Along Came Betty Eyebrow Kit "Br-wow"
So a few weeks back I went to Tescos to buy some bits and bobs (as you do haha) when I suddenly remembered that a friend of mine recommended me an affordable beauty brand that was available there. So I walk down to the make up isle and found it quickly! The brand is called "Along Came Betty" and their products are packed in pretty pink and vintage looking packages. They remind me of other brands like Soap & Glory or benefit. As I didn't really need anything I told myself to only pick out one item. My choice was the eyebrow kit "Br-wow". I never owned a proper eyebrow kit before - I usually used an eyebrow pencil or just brow powder - so I was really excited to try out this bargain! The kit comes in the colour "fair brown". 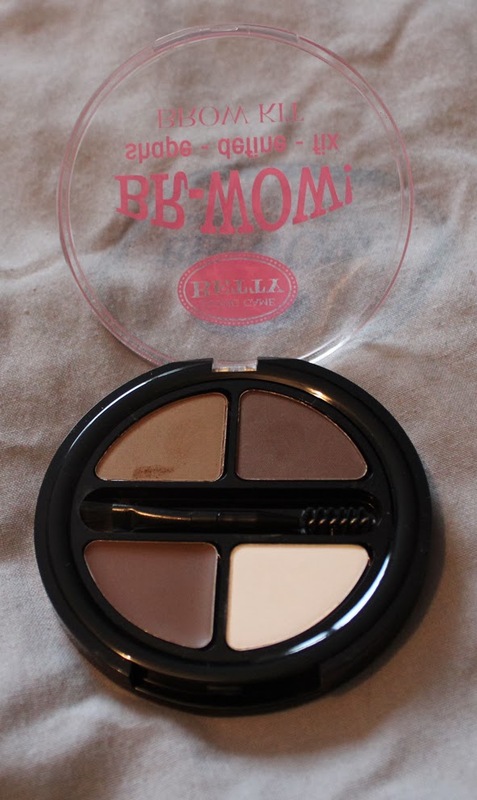 As you can see it contains two different brown powder shades on top ("fair" and "brown"), as well as a wax to add definition and a translucent setting powder. It also comes with a little handy double-ended brush, one end is an angled brush and the other one is for shaping your brows. I like using a mix of the two top shades to fill in my brows and then I use the wax to give them more definition. I never really use the translucent powder. So here are my eyebrows - the left undone and the right one done! I believe this product costs about £5 but if I'm not mistaken I bought it for the amazing price of £1,50! Unfortunately I already threw the receipt away so I can't check it again! However it's an amazing bargain price for this product! I'm totally happy with this find and since I bought it, I used it almost every single day (except for non-makeup days). I would definitely recommend it to people who are looking for a nice and cheap eyebrow kit. And I will be looking into more of the "Along Came Betty" range! Have you ever tried any "Along Came Betty"-products? If so what's your favourite! 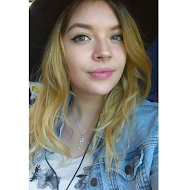 I loved this post, i've never tried anything like filling in my eyebrows, but i can't believe how much of a difference it has made to yours. I think you've definitely swayed me to try it! yes it can make such a difference! Hello :) thanks so much for visiting and commenting on my blog. I enjoyed this post highlighting what looks like such a great and affordable brow palette!